Is it possible to rescale sliceforms in MTC? I read somewhere that rescaling sliceforms doesn't work well because it messes up the slots. Thank you. What I am wanting to do is to rescale the free cupcake sliceform from extremepapercrafting website. I have brought it into MTC. I will attach the file. What I want to do is shorten it vertically so that it looks like a pie and use it to make a card like the cherry pie card from Lovepop cards. I will attach the Lovepop link. I wondered if after selecting I could just take the top arrow and drag it downward to make each piece shorter so that it looks like a pie instead of a cupcake. Wouldn't that just shorten the slots or would it change the width of them too? 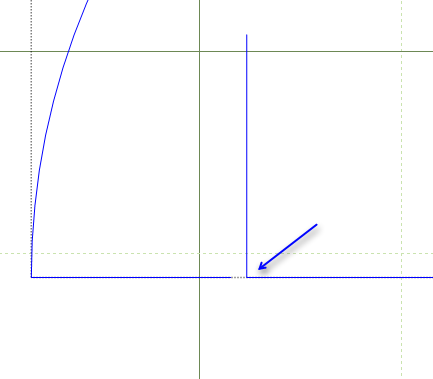 @Crazy_Mr_Zing what is the recommended width of a slot in a sliceform? I am learning to use Sketchup and just made my first sliceform with it. 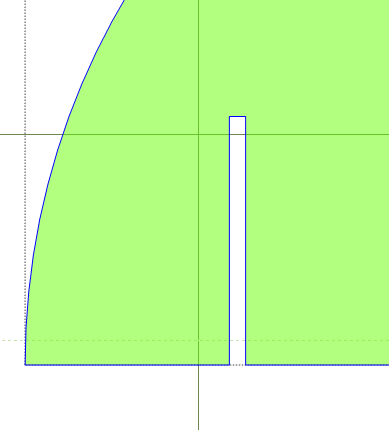 When I imported the SVG file into MTC, I noticed that the slot width on my y direction slices is smaller than that on my x direction slices. I thought I would just edit it in MTC but I don't know which slots to edit. I am attaching the file. @Crazy_Mr_Zing your method of changing the slices to a single line before resizing the shapes is genius! I have been re-doing them all. What a time saver. 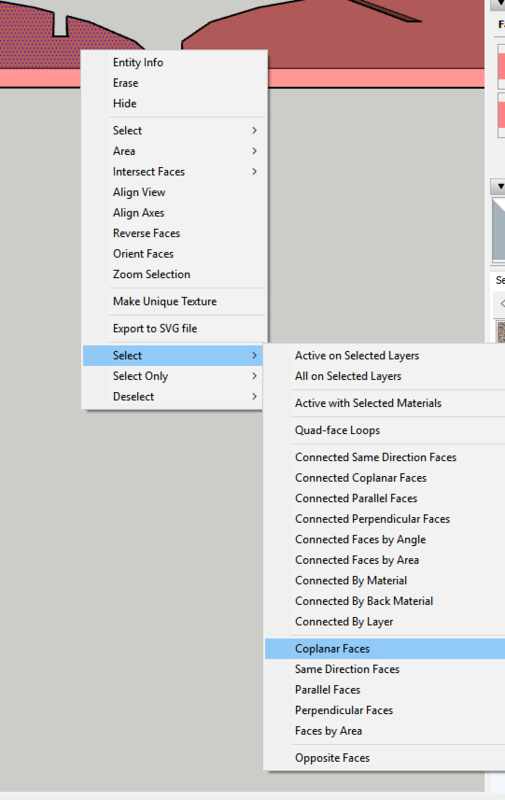 @Meow I am very impressed you have figured out Sketchup. I just can't understand it so am still attempting to make slice forms on my own. Some times success most times not.... On slice width I have been using .02 which is what Leslie6111 recommended and it has worked well for me. @Charo Thank you so much for that info. Do you mean .02 mm or .02 inches? I am just hacking away at Sketchup. My construction of it in Sketchup was not perfect. When I brought it into MTC, there were a lot of hidden dots and lines that came in that I had to delete. It crashed my MTC. I decided it was the computer so I went to a different one and it didn't crash, but it was verrrryyy slow until I got all the deleting done. I am still working on it. @Meow well I guess I don't know! 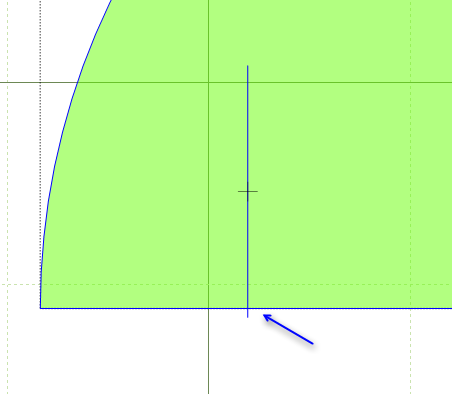 The place where you set the width and length of shapes is where I enter .02 and I am not sure if it is inches or mm. I know under node editing everything is in mm. @Charo thanks. I will look at it once I set it and see what it looks like. 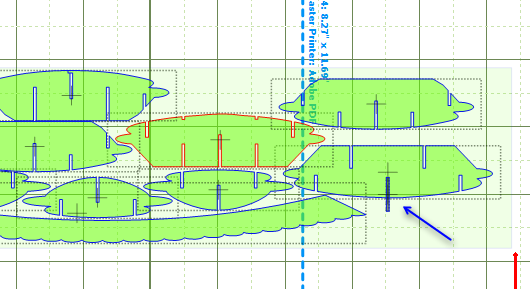 I not sure if the extension is working differently with the later version of sketchup or i have a different version of slice5 ? what were your settings in the slice5 extension? I kind of do things like Paul does that he described above. 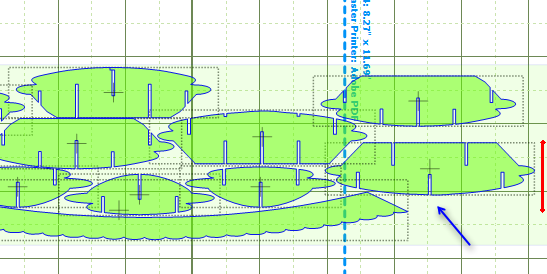 When I want to change the size of sliceforms, I grab all the slices and then change them all at once in x and y . In many cases you just have to redo the slots cause in the new size they change uniformly with the change in shape. Then I stack the the slices. I line up the new thin overlapping rectangles to make the new slots over where the old ones were. Then I remove the slots from the slices and close their shapes so that I can redo them with the boolean join method as Paul outlines above with the thin rectangles. It is just a lot of grunt work. @leslie6111 and @Crazy_Mr_Zing thanks so much. I just discovered the explode function yesterday which allowed me to separate the shapes from each other, but I did not realize if I used it again that I could just select the top face. I thought I had set the thickness to the same, but I may not have. It was the first time I had used slicer5. Whew!! Doing sliceforms is intense. 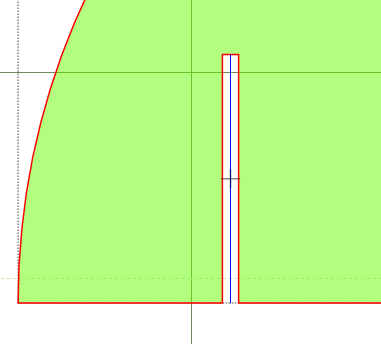 On one set of my slices the width of the slots was 0.03 but on the slices in the other direction it was .06. I fixed them in MTC. I also had to change some of the slots to the opposite sides of the pieces so they would interlock. I haven't cut it yet. I will be holding by breath before I do that in hopes it will fit together well. then you can move the slices in the 3d model and then the slotter function should create the slots based on the rearranged model ? @Crazy_Mr_Zing that was me you helped reproduce the manger card. I am super pleased with it. I learn in a similar way. I do a lot of praying that I will understand, watch a few videos, come here to this forum for help, and hack away. I am working on reproducing one LovePop's turtle sliceform cards. I have my turtle sliceform done except it need to be scaled down in size. I am going to use your method of scaling that you described above. I used Sketchup to make the sliceform. It was not perfect but I got it close enough. Then I imported the slices into MTC and fixed some of the problems I did not know how to fix in Sketchup. I moved some of my slots to opposite sides so they would interlock. 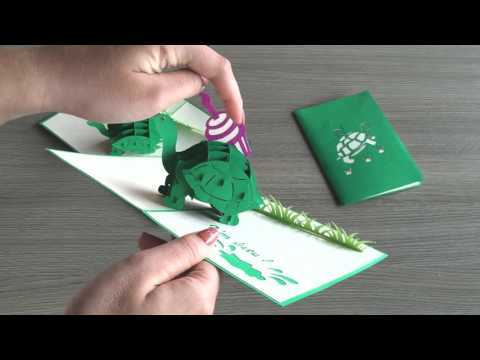 However, I can't figure out how to attach a tab to one of the turtle slices so that when I anchor it to the card the slit I place the tab in will be parallel to the fold of the card. I have been under the impression that the slit the tab is placed in to anchor it to the card had to be parallel to the fold line in the card, but I came across this card from a site called CharmPop whose tab anchor is not parallel to the fold. I am attaching the picture of their sliceform that is attached to a card. Hmmmmm....I never thought that would work. I am going to see if my turtle sliceform will work that way before I go to the trouble of figuring out how to attach a tab that is parallel. I have to think a little maybe each slot would have to be a right angle to the other ? or oposing angles for the center fold ? @Crazy_Mr_Zing thanks for that video. I noticed there is a piece hooked between the front legs and the back legs. Is that there for stability? You would have to merge a rectangle to make a tab in one left side front leg and one right side back leg. 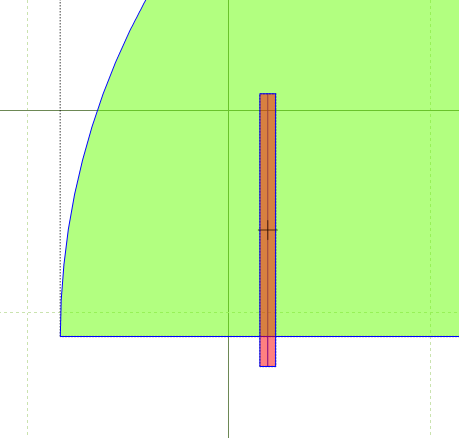 In a normal popup, also the corresponding cross slice would be tabbed, but since this sliceform in the video is just a slotted crosspiece, I do think it is necessary and the legs should be sufficient to open the popup when the card opens. 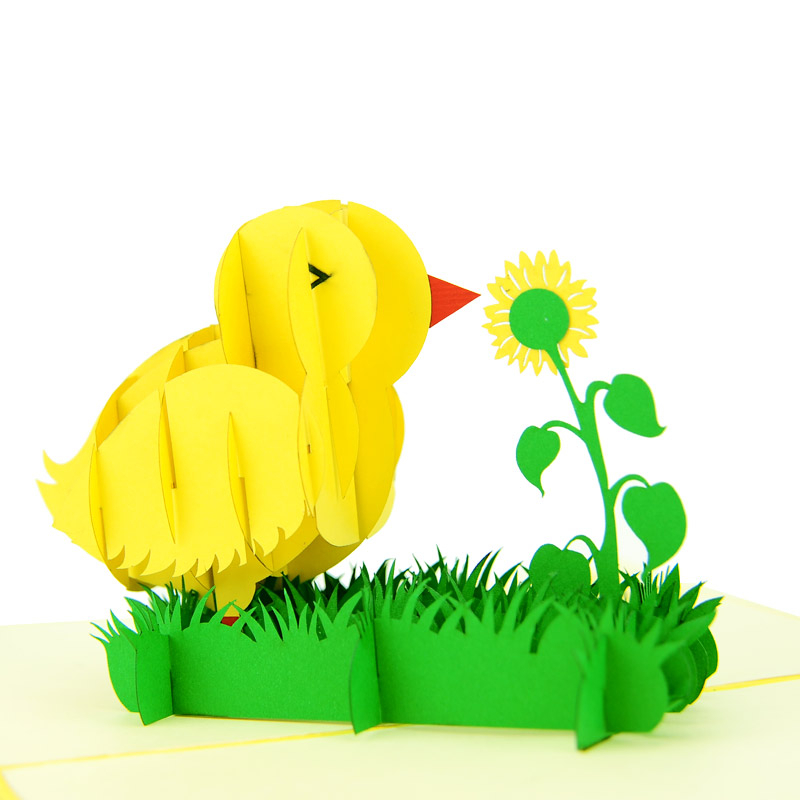 In the chick sliceform, the grass is tabbed, but the chick is glued onto the grass so when the grass is opened so is the chick. The grass would be tabbed at both the cross pieces at - hard to say in words - front left and back right with their corresponding cross pieces. @leslie6111 thank you. There is so much to learn. I am thankful that so many here are willing to help me. I got the crosspieces done and have scaled down the sliceform. 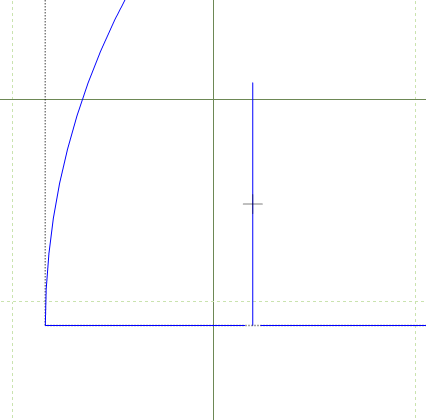 Now I am working on the widths of the slots using the method Crazy_Mr_Zing described. Or you could email the designer of the cupcake (me) and ask me to rescale it. I usually keep a (digital) copy of the initial sketches with the slots still separate objects, allowing for relatively straightforward redrawing.